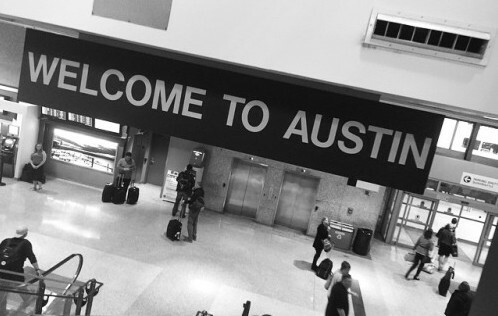 AUSTIN, Texas — South by Southwest is many things to many people. It’s a film festival, a music festival, a comedy festival, a sports festival and an interactive festival. For some, South-By offers an opportunity to mix, mingle, schmooze, and maybe even participate in seminars that span everything from privacy issues and “hackism” to the continued evolution of the Internet of Things. With all the lounges, giveaways, product demos, film screenings, celebrities, keynote speakers and the parties, one thing stands out — South By Southwest is undeniably the place to be for startups. Almost the entire fourth and sixth floors of the Hilton Downtown Austin is serving as the SXSW Startup Village, where emerging companies with innovative products compete for the attention – and resources – of venture capitalists, investors and the media. The most dominant player of them all is the SXSW Accelerator competition, which gathers leading startups from around the world to present their innovations to a live audience and panel of experts that includes successful entrepreneurs, investors and industry influencers. More than 500 applications were trimmed to 48 finalists, in categories inclduing Enterprise and Smart Data, Entertainment and Content, Innovative World and more. By Saturday evening, the field narrows to 18 finalists who return to present to a new set of judges. On Sunday, these judges will select the grand prize winners for each category, who will be honored at the show’s SXSW Accelerator Awards that evening. One fortunate Accelerator finalist is Anatoly Nirshberg, Co-Founder of Chicago-based Verie, an emerging digital solution provider that turns smartphones into virtual ID cards, using sophisticated facial recognition software to essentially guarantee the identity of the user, whether in person or online. “We are partnering now with three universities who are using our system to ensure that students who are sitting for exams are actually the right people, not somebody else taking their place,” Nirshberg said. On Friday morning, 10 emerging entrepreneurs gathered in the Hilton for ReleaseIt, a three-minute pitch opportunity followed by Q&As, before a panel of technology industry judges. Austin-based Honest Dollar, best described as a product that does for financial services what AirBnB does with hospitality and Uber does for transportation, took top honors with healthcare price transparency company Spotlight Health coming in second. The Startup Spotlight competition shines a light on new and innovative new companies who will demo their product, service or app throughout the week. Another competition, Startup Austin enhances the SXSW Startup Village programming by providing ongoing sessions where Austin-based groups host startup-oriented panel sessions and pitch events. McDonald’s is hosting a trio of pitch sessions to startups focusing on three key restaurant-focused categories — packaging and delivery, content development models, and mobile and transportation. But then there is Tommy Kovatch and his own startup competition called the Hottest Pitch@SXSW. Offering a $1,000 Grand Price to the winner, his event is open to a dozen companies who signed up in advance to present but hold on — there’s a catch. Prior to their presentation, the spokesperson is required to eat a hot pepper — an Austin staple. Talk about a hot pitch. Editors Note: Longtime trade show attendees Steve Winter and Kenny Fried are contributing reports from SXSW. In their day jobs, they are public relations professionals with Sage Communications. During SXSW they will not be reporting on any of their clients’ products or those of direct competitors.